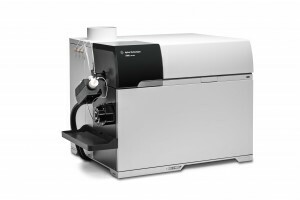 Raise your expectations—the new Agilent 7900 ICP-MS opens up a new dimension in ICP-MS.
With 10x higher matrix tolerance, 10x wider dynamic range and 10x better signal to noise than the world’s bestselling 7700 ICP-MS Series, plus software so powerful that it can write your methods for you, the Agilent 7900 ICP-MS redefines ICP-MS. Again. The world’s most powerful and automated ICP-MS includes the industry’s most effective helium collision mode for unsurpassed interference removal, ensuring superior data quality whatever your application. With every component engineered for performance and reliability, Agilent’s 7900 ICP-MS will put you on the path to success.